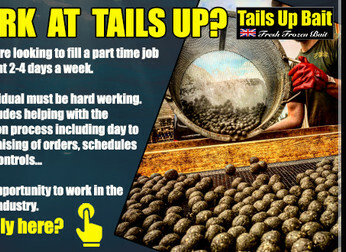 Tails Up are looking to fill a part time job placement 2-4 days a week. The individual must be hard working. A great opportunity to work in the angling industry. Apply here Please leave your full name, contact number, address and reason why you would like to work for Tails Up. Ash from Tails Up will then be in contact thereafter. If you want to send us your video, select it below!